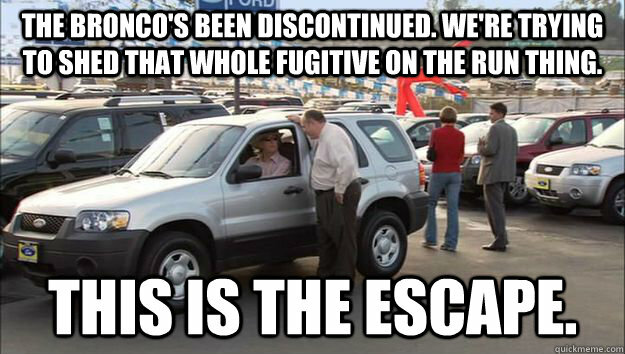 The Bronco's Been Discontinued. We're trying to Shed that whole fugitive on the run thing. This is the Escape.